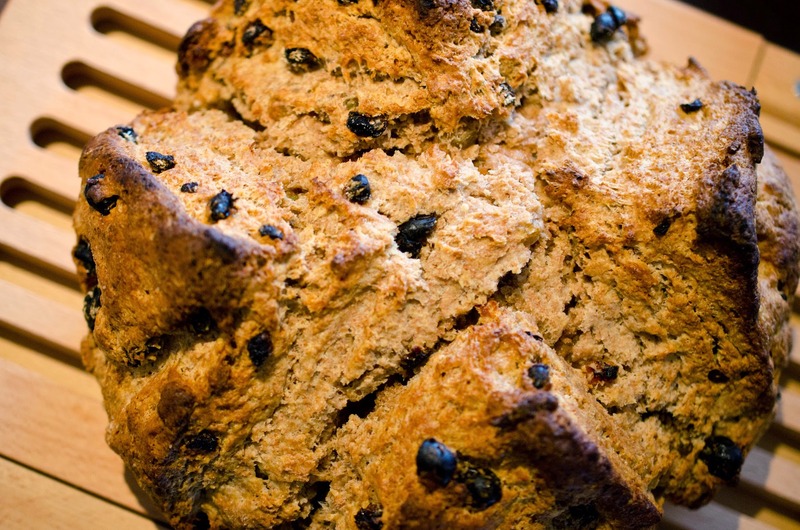 Traditional Irish Soda Bread is made with wholemeal or whole wheat, and soda to leaven. 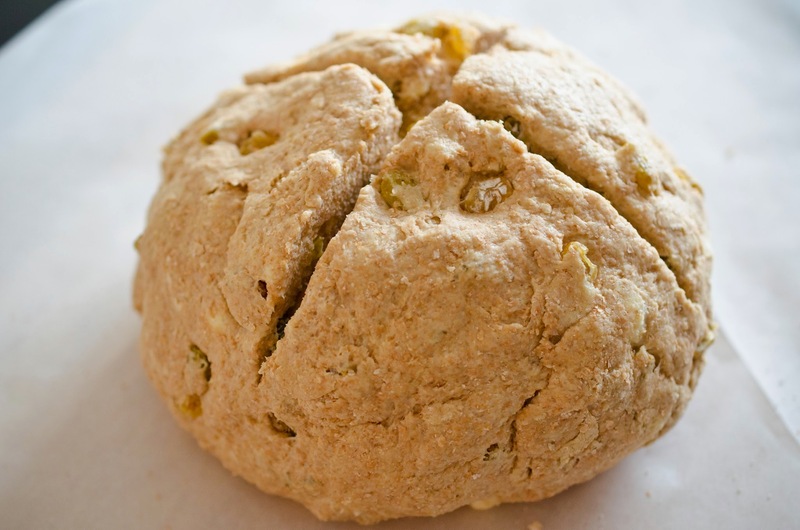 Here in the USA, Irish Soda Bread changed. It was made with white all purpose flour and included raisins and sugar. 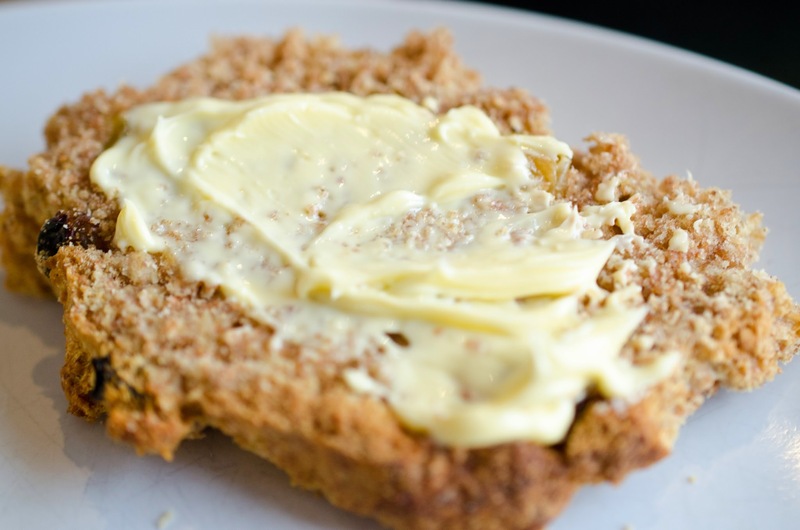 This recipe is adapted from a King Arthur Flour recipe. It is completely made with spelt and it has golden raisins so you could say I chose to take a little Irish influence and add a little American to it. This bread must be accompanied with good Irish Butter. My friends and family would implore you "do not skimp on this, get the Irish Butter and you will thank us in the end." This bread was so delicious, and the butter brought it over the top. 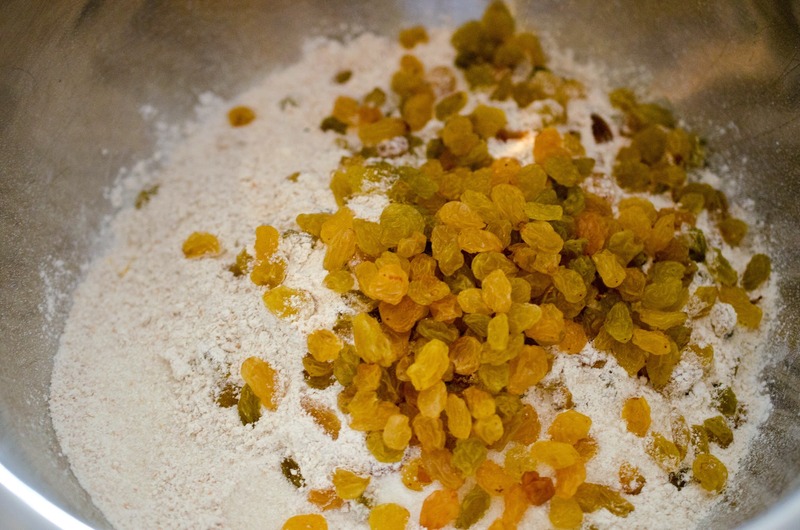 Mix spelt flour, sugar, baking soda, sea salt, and golden raisins in a medium bowl. 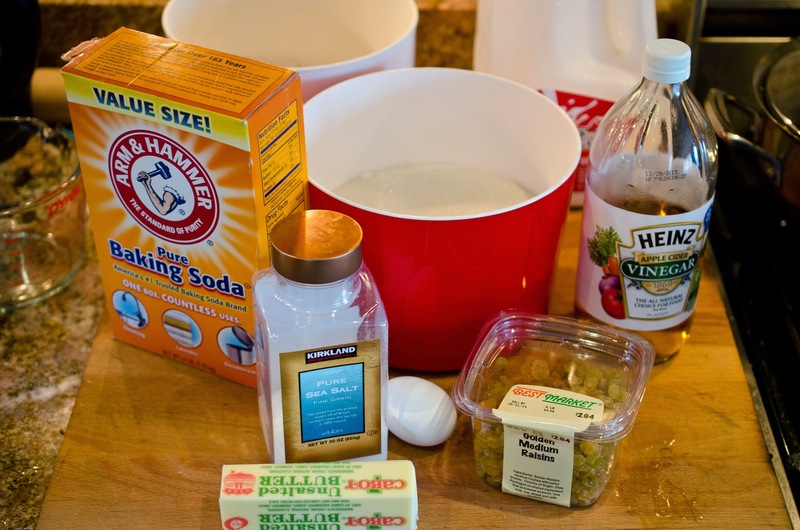 Mix buttermilk and egg together. forming small pea size globules. 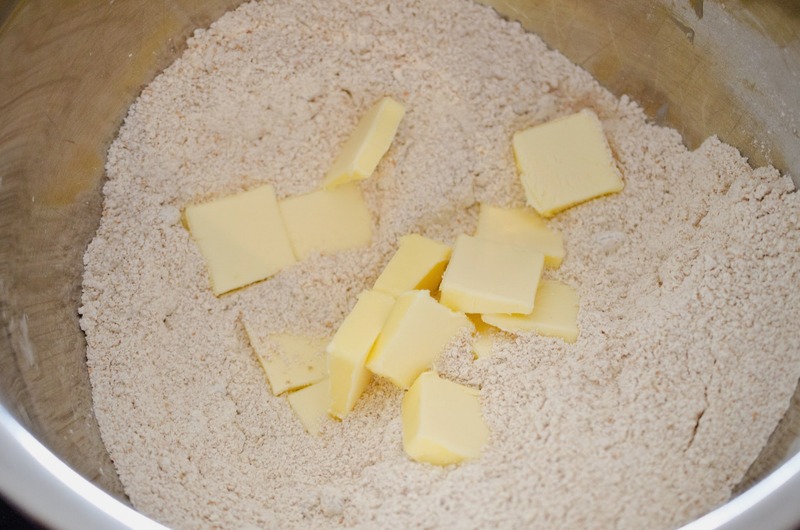 Add buttermilk mixture and gently knead the dough until it forms a ball. 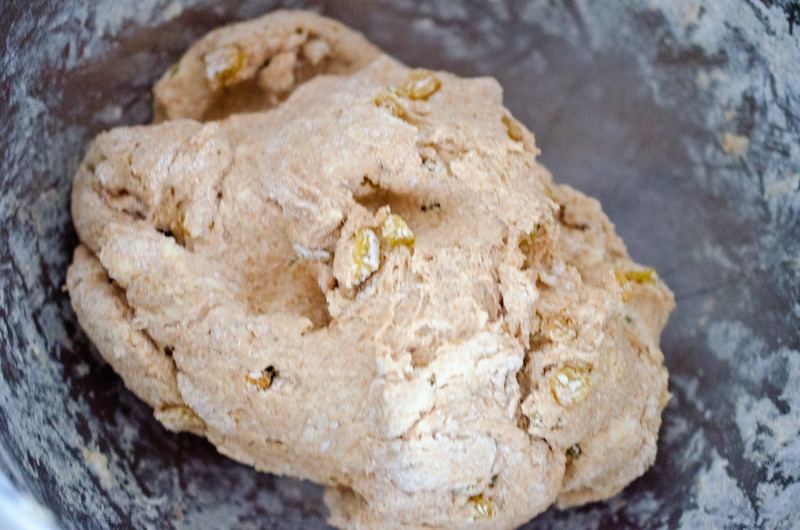 Form a round loaf from the dough and place on a parchment paper lined cookie sheet. Using a serrated knife cut a 1/2 inch deep cross into the loaf. Bake bread for 45-55 minutes. Put cut butter in flour mixture and using your fingers blend the butter and flour together forming small pea size globules.